Helis unquestionable favourite climbing area are the huge overhangs at the Schleierwasserfall in the Kaisergebirge (Kaiser-mountains). 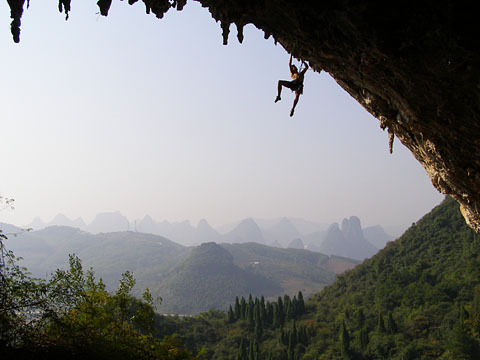 There is nearly no other crag in the world offering so many hardest routes on such a small space. And therefore it is no surprise that Heli spends a large part of his free time there. In the French 8th grade he has done as good as all routes, only a handful of the top routes are still missing in his route-book. 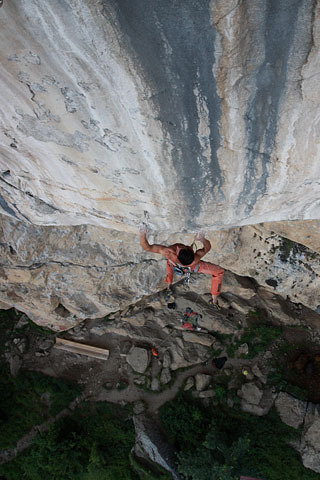 After his performance in spring the strong boy from Rosenheim continued working on some of the extreme routes at Schleier and effectively he managed to do the top-climbs "Das Erbe der Väter" (8c+), "Dolphin" (8c) and "Reality Check" (8c+). The fact that he did not add immediately another Schleier testpiece to this list can be traced back to the his time-consuming studies and graduation as well as to his start into the working-life. Along with this the conditions on Helis few free days have not always been easy. For example one day this winter we have been sitting 3 solid hours on the bench at the base of the cliff and with sub-zero temperatures we observed yearningly and tea-sipping the vague silhouette of the sun through dense fog, whereby the planet promised an ingenious climbing day when we started earlier that morning in the valley. Well, thus there is a reason left for Heli to show up at the waterfall from time to time, because the remaining routes "Black Power", "Weiße Rose" and "Open Air" are in fact 3 killer routes, worth the one or two visits up there. 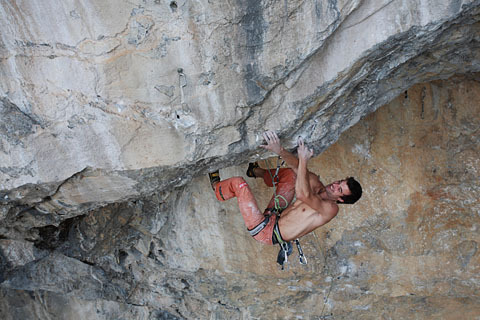 And according to the estimation of Adam Ondra at least the two last-mentioned seem to be amongst the hardest what the climbing world has to offer. Good luck furthermore for you Heli and as always "put the pedal to the metal"!